Each year a host of visual technology comes to market. These are either for entertainment, rehabilitation or both with the intent of making vision struggle a little less challenging. It is tools like these that keep some going, able to function in society, maintaining a sense of independence and integrity. Virtual reality (VR) has been at the forefront of this technology for years but hasn’t been able to completely deliver. 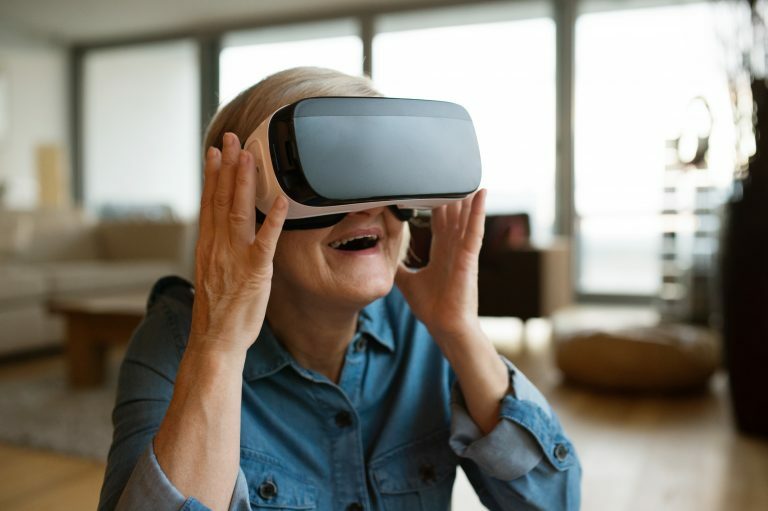 Now, VR is significantly advanced making it a useful tool when it comes to assisting, enhancing, or even entertaining those challenged by a visual disease such as macular degeneration. 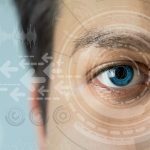 The applications are increasing as VR graphics, adaptation and even size, weight and portability of the device are being applied to macular degeneration treatment. It is out-of-the-box thinking which is easily crossing over into helping those with glaucoma, cataracts and other vision challenges as well. VR is experienced by wearing special goggles or a headset (aka HMD/head mounted display) that completely covers the eyes. Inside, you see a screen that feels as if it is much further away than it really is, immersing your direct and peripheral vision into a kind of other world. One minute you could swear you were petting a lion and the next minute you might be flying an F-16 through obstacles in the sky. Often, the VR device is usually plugged in or wirelessly connected to a stationary console that controls the image feed. However, there are also portable VR sets that can be controlled via smartphone-based goggles. Some are even able to tap into and manipulate your realtime surroundings turning it into a virtual/augmented reality. The equipment can range from about $100 up into the thousands so there is a variety of brands and levels to choose from. Up to this point VR has mostly been used for entertainment however medical, business, education and other platform applications are now being applied, particularly for those with macular degeneration and other visual challenges. 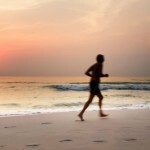 Most want to take time to escape and recharge their batteries by going on vacation or doing something they love. 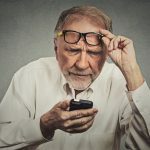 However, struggling with macular degeneration can make it difficult to enjoy a relaxing time when just deciphering what you’re trying to see can cause stress. 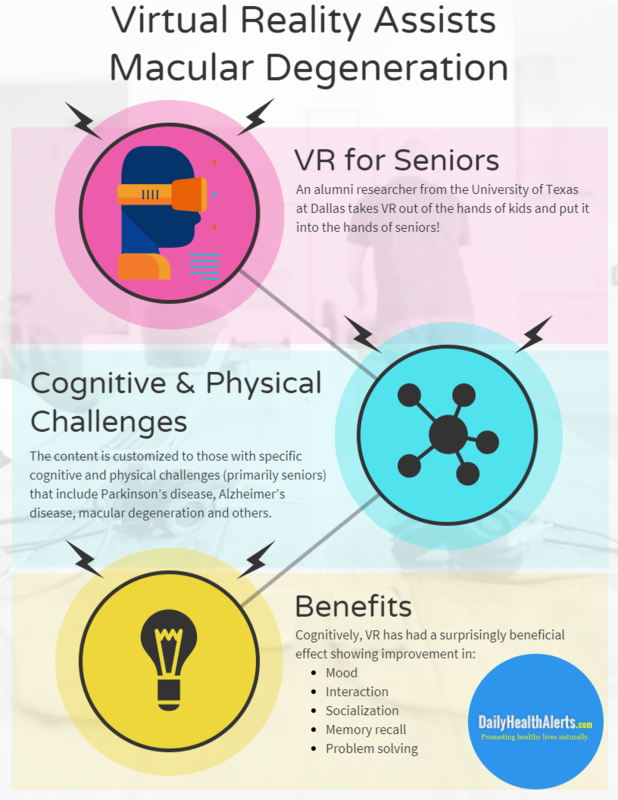 In addition to VR being used as an entertainment or therapy device, as mentioned, it is also an excellent educational implementation, particularly for those dealing with aging patients. 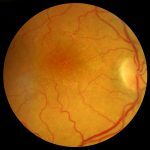 Now, symptoms of diseases such as macular degeneration are no longer words on a page or descriptions from a patient but something that can actually be experienced. There is also a Chicago start up called Embodied Labs which created an app called the Alfred Lab app. This app won top prize in the University of Southern California’s Center for Body Computing (CBC) annual VR hackathon competition. It is based on using smartphone VR goggles to experience a day in the life of Alfred, a 74-year-old African American man with high frequency hearing loss and age-related macular degeneration. 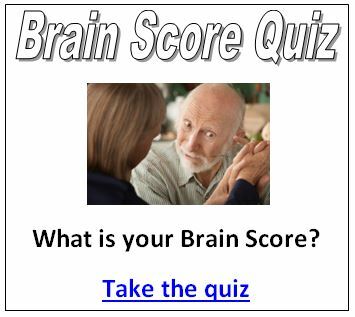 It includes interaction with doctors, family and friends as well as visual symptoms of AMD. Some of the other VR applications include experiencing symptoms of dementia, autism and more. Sometimes technology can do amazing things for those in need. As virtual reality assists macular degeneration treatment it will continue to go beyond teenage amusement and improve many situations that were once thought hopeless.